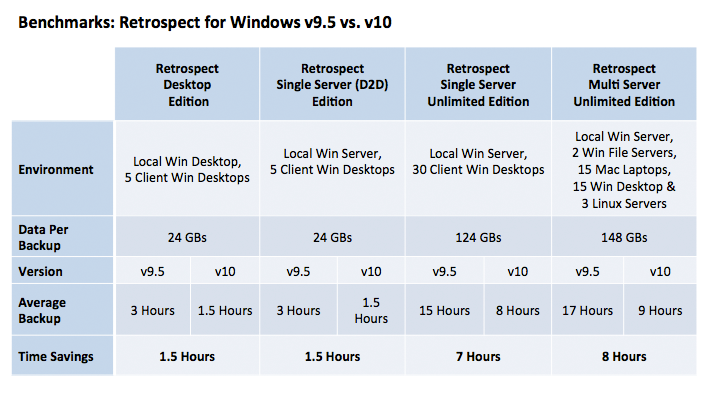 Retrospect’s new versions are significantly faster across key areas. Backups and restores take far less time in many cases, and other powerful features like grooming and snapshot transfer are lightning fast. 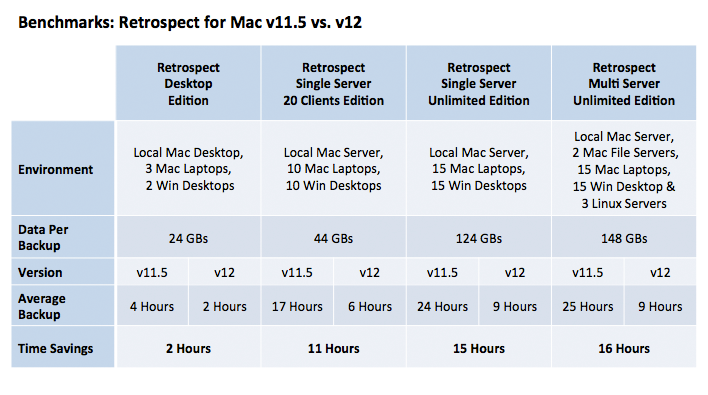 Whether you are protecting Mac, Windows, or Linux systems, you'll feel the power of new Retrospect.